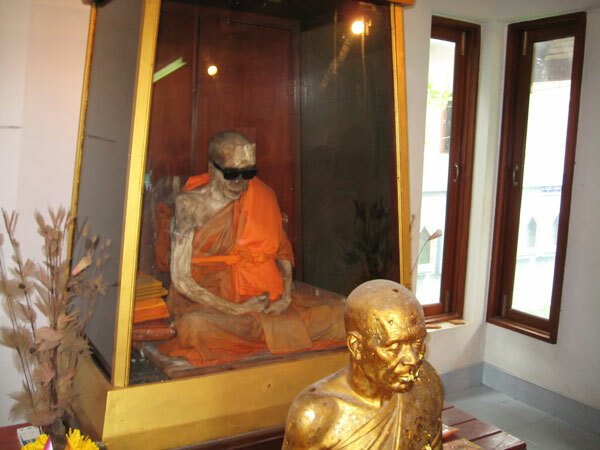 The mummified body of Buddhist monk Phra Khru Samathakittikhun (or Loung Por Daeng) remains on display in Thailand in Wat Kunaram on Koh Samui island per his request, some thirty years after his death. He hoped his body, still in the meditation position he died in, would inspire future generations to follow Buddhist teachings and be saved from suffering. He made this request two months before he died, announcing to his students that he felt his death was imminent. He spent his last seven days without food or water, and spoke to no one, focusing solely on his meditation. 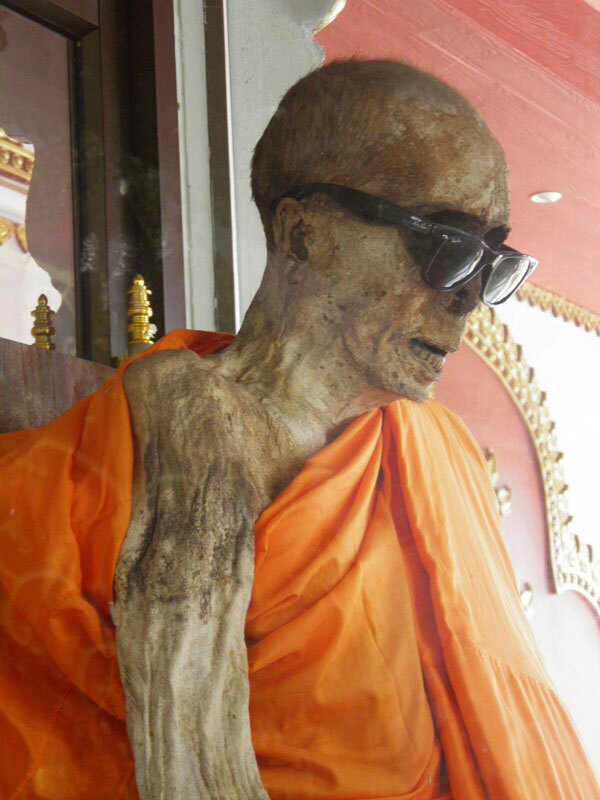 When his eyes dried up and fell back into his head, his fellow monks gave him a nice pair of Ray-Bans to cover the ghastly, gaping sockets.